Hummingbird Miniatures: Dollhouse Miniature Profiteroles in 1:12 scale! 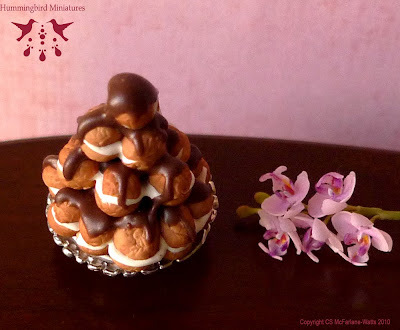 Dollhouse Miniature Profiteroles in 1:12 scale! 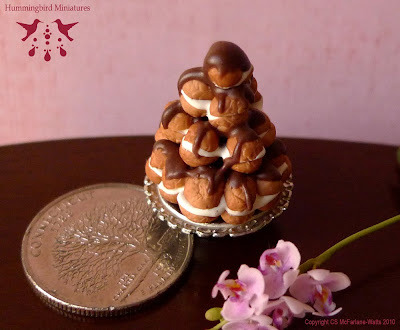 I made some more profiterole pyramids in 1:12 scale. Each profiterole measures 0.5 cm, is cream-filled and the whole pyramid is drizzled with chocolate sauce. 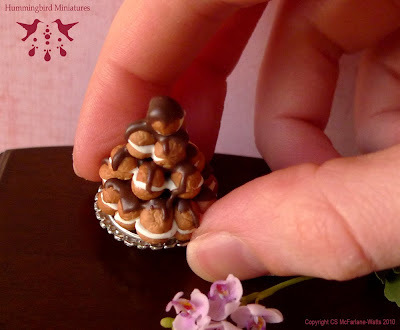 Made from Polymer clay. 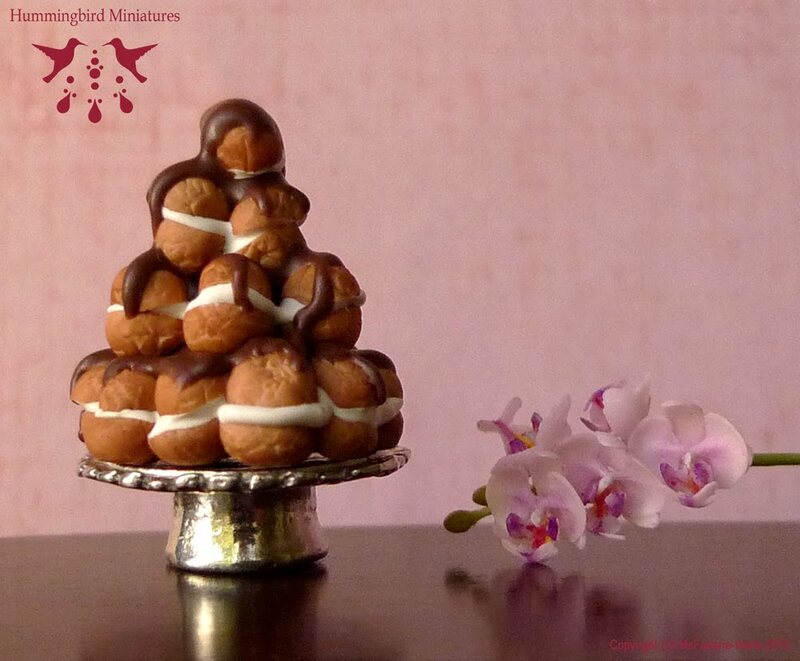 Yours are the best profiteroles, ever! 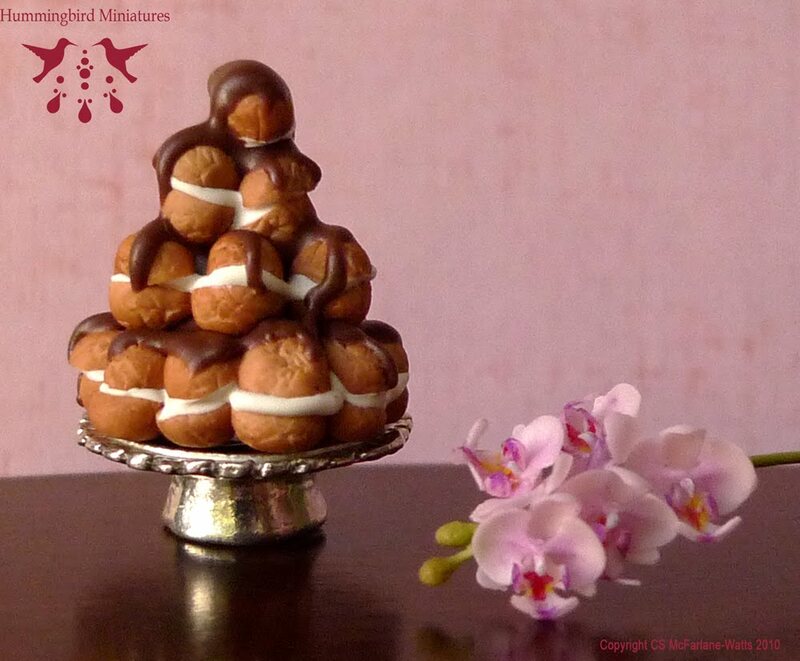 That's why they have a place of honor in my patisserie.